Open Education Week has been busy at Ryerson! The Learning & Teaching Office hosted a workshop on open textbooks that I was very happy to co-facilitate with members of the Ryerson University Library & Archives, the Chang School’s Digital Education Strategies, the Office of e-Learning, faculty members from the Department of English, and a student from the Daphne Cockwell School of Nursing. 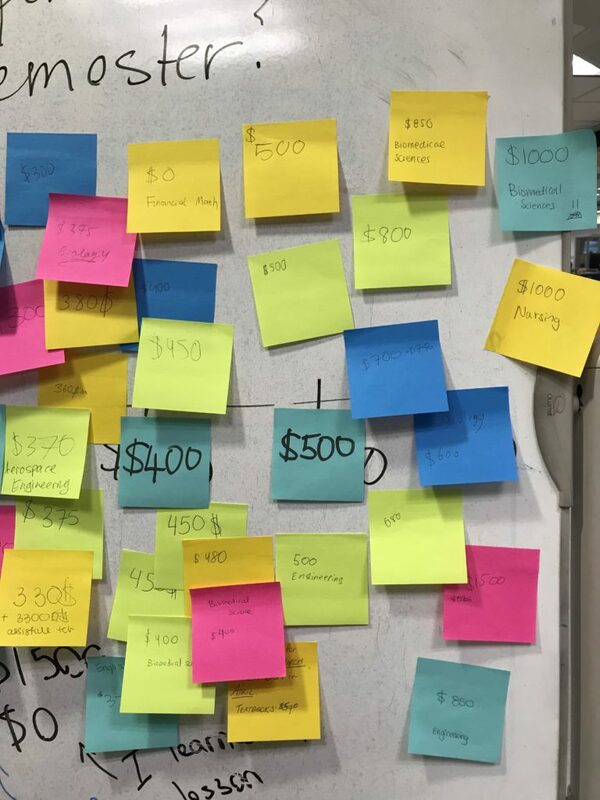 We asked students to mark on post-its how much they spent on textbooks this semester and put them up on a whiteboard. We got answers ranging from $0 (representing students who skipped buying the textbook, downloaded pirated copies, were sharing old editions, or sitting at the reference library) to $1500 a semester. 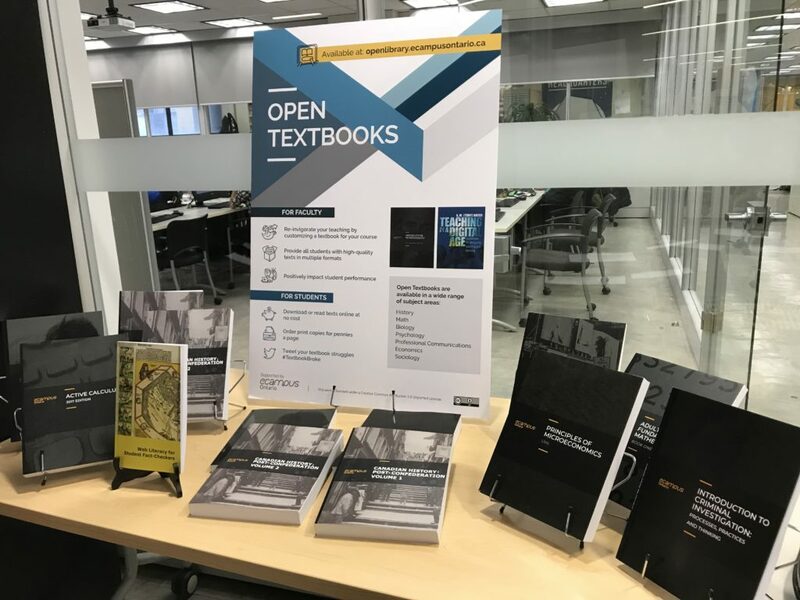 A student who spent $1500 last semester reported not buying any textbooks this semester because they had “learned their lesson.” All of the students were excited to see the print-on-demand versions of the eCampusOntario open textbooks that we had on display. Previous PostPrevious Best Practices in Experiential Learning – now available in Arabic!